Mr Caluwé was born in 1961 and obtained a Bachelor in Economics and a Master in Law at the University of Antwerp. His professional life has always been in politics for the Christian Democratic Party, on both the legislating side (national senator for 9 years, member of the Flemish Parliament for 13 years), and executive side (in his hometown Essen and since 2012 at the Province of Antwerp). He is very active in the community life in Essen such as the local brass band and the cycling club, because he enjoys helping organizations and people. 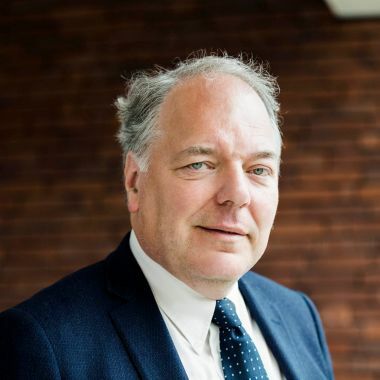 Since 2013 is Ludwig Caluwé Member of the Executive Board of the Province of Antwerp, in charge of Economy, International Cooperation and Innovation and he is also chairman of the Havencentrum.